Polamar Skies - "All Good Things . . ." | Astro What? Polamar Skies "All Good Things . . ."
As the saying goes "All good things must come to an end" and so it is that my time here at Palomar Observatory has finally come to an end. For the last eight years I have had the honor of serving as Palomar's Public Affairs Coordinator. During that time I have immersed myself in the observatory's history and current operations. I have worked to help spread the message of the observatory in a variety of ways. 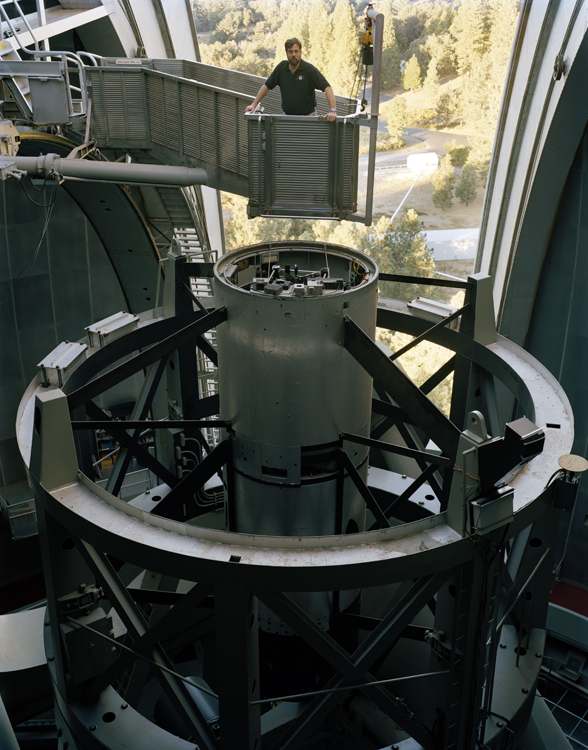 The Palomar Skies blog, which I began in late 2007, has been a forum for me to share news, photos and interesting stories from the observatory. I hope that this project has been informative and enjoyable. I have certainly enjoyed blogging about the observatory. Starting in August I will be working as the Director of Public Affairs for the International Dark-Sky Association. Preserving dark skies is important not just for professional observatories, but for wildlife and much more. A star-filled night sky has been a tremendous source of inspiration for most of human history and now it is vanishing for almost everybody. In my new role I will work hard to raise awareness for this cause and hopefully bring the Milky Way back for many. I will likely be blogging there about dark skies. If you are interested, please look me up sometime in August. As for Palomar Skies, it shall remain here, but I will be stepping aside from it. At some point someone will hopefully pick up the keyboard and resume posting here. After all there are many great stories still to share and more discoveries about the universe yet to come.